Our client drove his brand new red car into a light pole along Pacific Coast Highway in Redondo Beach. He had been drinking with friends over at a friend’s house in Lomita, watching a football game and eating pizza and tortilla chips all night. The Gist of This DUI Summary: Police are often so eager to administer field sobriety tests that they will literally do so when a person is in a hospital ER after being in an auto accident with moderate injuries and sedation from medicine. This readiness cost the prosecution a conviction with full penalties, as the following summary describes. Our client, age 25, had no prior record. He woke up after the accident. Paramedics arrived at the scene and transported him to Little Company of Mary Hospital in Torrance. While in the hospital emergency room things took a twist for the unexpected. A Redondo Beach Police Officer followed the ambulance to the emergency room and while our client was heavily medicated and in a hospital bed, began asking him questions about the crash. The officer asked our client if he had been drinking and our client admitted he had. 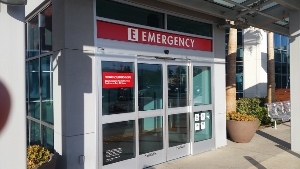 Allegedly after hospital personnel advised that our client was medically fit, the officer then began administering field sobriety tests in the emergency room! She first administered the horizontal gaze nystagmus test while our client was lying in a hospital bed, which is not how the test is supposed to be given (the suspect must be standing). She then had our client perform certain tests of balance (after the client had run into a light pole!). It was unbelievable. The final straw was that she then had our client’s blood taken, which when tested showed a BAC of 0.27%. Agreeing that our client’s capacity to admit intelligently was an issue, as well as Miranda violations (because our client was not free to leave the hospital and was thus in a “prolonged detention” as defined by California law as triggering the right to a Miranda warning), the Redondo Beach City Attorney conceded that her city’s police officer may have been a bit overzealous in the hospital emergency room. The Redondo City Attorney also agreed that some of the field sobriety tests were given improperly. Finally, the chain of custody of the blood sample was such that it was unclear when the blood was transported to the Los Angeles County crime lab and how. It was a “perfect storm” of police incompetence, inept investigation and police misconduct. Due to the highly irregular investigation, Greg also discussed filing a Pitchess motion (click here for a discussion of such a motion - http://www.greghillassociates.com/lawyer-attorney-1940933.html) with the Redondo Beach City Prosecutor, who acknowledged the officer may have a personnel file that included prior incidents of discipline for irregular conduct. However, the City Prosecutor also vowed to take the case to trial due to the very high BAC and the traffic collision. The City Prosecutor explained that there were certain cases she just could not offer a reckless driving on, especially with such a high BAC and a car accident. At the same time, the City Prosecutor understood the risks of taking such a problematic case, so she offered our client a deal where he could substitute a three month DUI program for the normal nine month program that is mandatory for all DUI defendants with a BAC over 0.15%. After much contemplation concerning the risks and costs of trial, our client accepted the plea bargain offered. Had he not, he faced a maximum of six months of jail, which was not unlikely here given his high BAC, however suspect it might be, as well as significant fines.